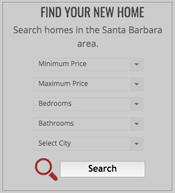 Our property search solution is used by the Santa Barbara Association of Realtors® and many of Santa Barbara's more successful agents in the Santa Barbara and Montecito areas. Available in Basic and Enhanced versions. 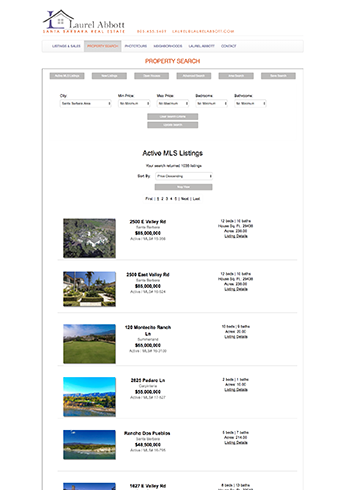 PhotoToursIDX is available in a Basic version with a great combination of features and affordability and an Enhanced version with features that include Area Search, Map View, Advanced Search, Lead Capture and IDX for Active and Sold Listings. PhotoToursIDX looks great on all devices including phones, tablets and desktops. 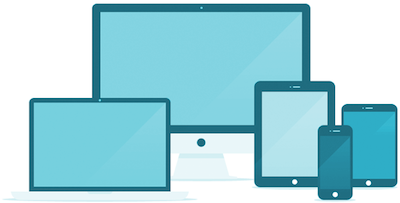 For tablets and desktops, we use a responsive framework called Bootstrap and for phones we use JQuery mobile. 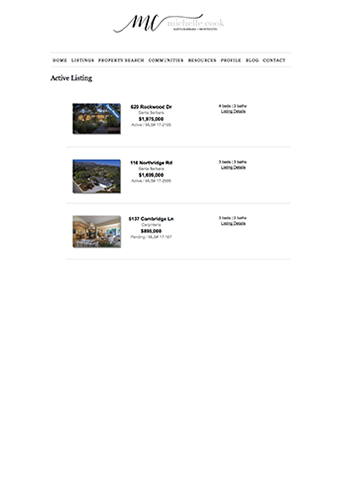 PhotoToursIDX provides a convenient "New Listings" view that shows all the listings added within the last three days so you can easily see the latest listings available. 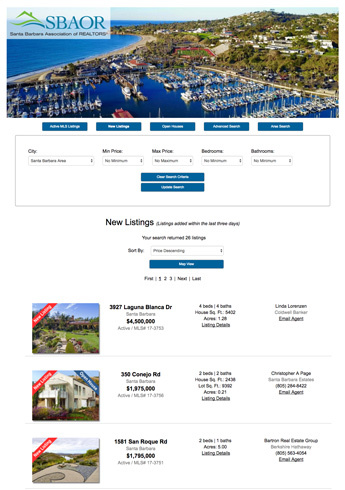 You can easily identify new listings in any of your searches by the "New Listing" red banner overlay. Looking for Open Houses? 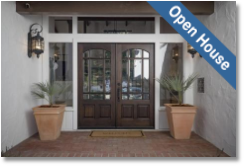 In PhotoToursIDX all listings with an Open House have a blue "Open House" banner so you can easily spot them. We also have an Open House view that shows all the Open Houses grouped by the day. Custom color matching your PhotoToursIDX to your website gives a more integrated and seamless feel to your property search tool. 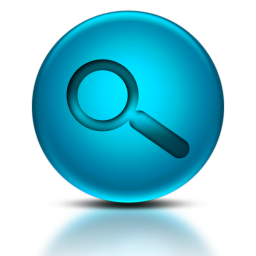 The Quick Search feature allows you to provide a quick search form on your website. It can be completely customized and styled to meet you needs and is available in a horizontal format as well as a sidebar format. Our advanced search lets you really get granular on a property search where you can search for listings in a particular neighborhood or school district and much more! 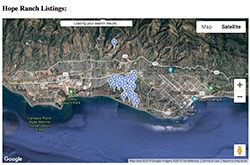 Our Map View feature lets you see your listings results displayed on a Map so you can get a good bearing on where the listings in your search results are located. 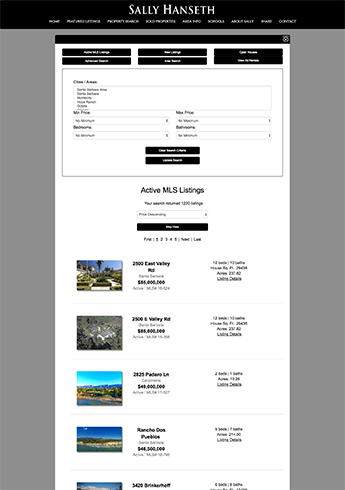 Use our IDX search tool to display your active and sold listings on your website. 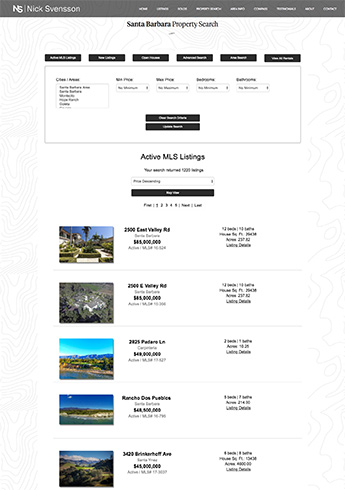 Add your listings into the MLS and they automatically show up on your website... no more duplicating your listing data to keep your website updated! Our Enhanced IDX comes with an optional sub-domain setup that can really help you with Search Engine Optimization (SEO), because all of the IDX listing content is credited to your sub-domain. 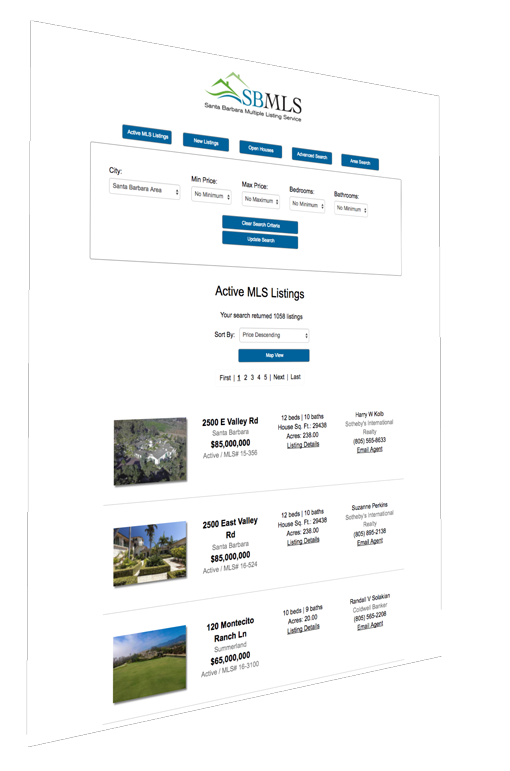 When this feature is combined with our IDX sitemap you should see great search engine visability. This feature goes hand in hand with our sub-domain feature. Usually this is a link that you place on the bottom of your website which is primarily for use by the search engines to make it easy for them to index and give you credit for all your IDX content. 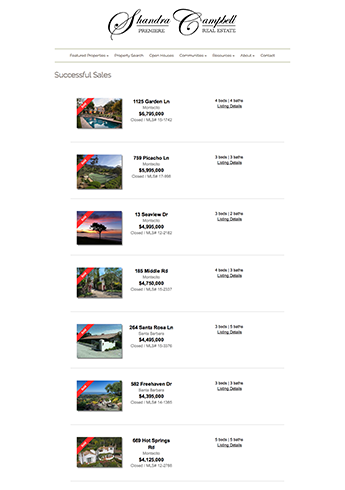 PhotoToursIDX is based in Santa Barbara, California and has been providing Santa Barbara Real Estate Agents and Brokers with property search solutions since 2007. As a small company servicing only the Santa Barbara area, we distinguish ourselves from our competitors by providing the best of class service and support and the most accurate search results. Our competition tends to be larger companies servicing realtors and brokers from all over the country with tens or hundreds of MLS databases to keep updated. 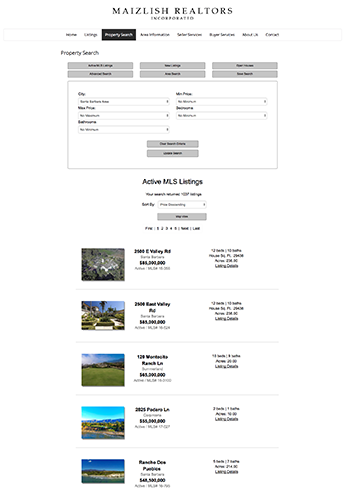 PhotoToursIDX focuses only on one area and one MLS database... 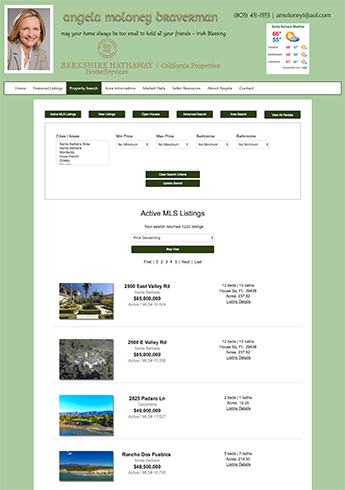 The Santa Barbara MLS, so you can bet that we pay a lot more attention to detail than those bigger, national level property search providers which is why the Santa Barbara Association or Realtors and the Santa Barbara Independent use our property search solution. 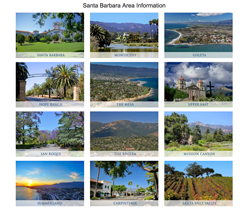 Santa Barbara Photo Tours has been a trusted partner of the Association of Realtors for more than 10 years. 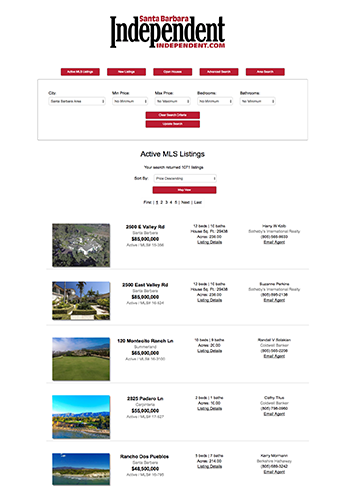 Our Property Search portal (SBAOR.com) provides our visitors with accurate and timely listing data, with a simple and easy-to-use interface. Their level of service is exceptional; they are eager to listen and help us meet our needs; and deliver a product that satisfies the consumer and client. I did my first PhotoTour with Steve in 2007. I have always been impressed with his photographers, the PhotoTours themselves and, most importantly, THEIR SERVICE! The team at Santa Barbara PhotoTours cares about their clients and makes sure that our needs are met…and they provide impressive PhotoTours for potential buyers and other agents. 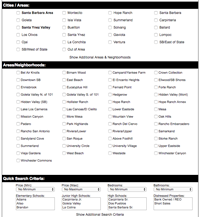 PhotoTours has been providing my IDX / Property Search feature since 2008. 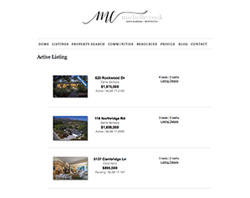 Last year, I upgraded my PhotoToursIDX subscription to include their Active & Sold Listings feature (www.michellecook.com). Clients and potential clients are always impressed with this service that I offer through my Website. 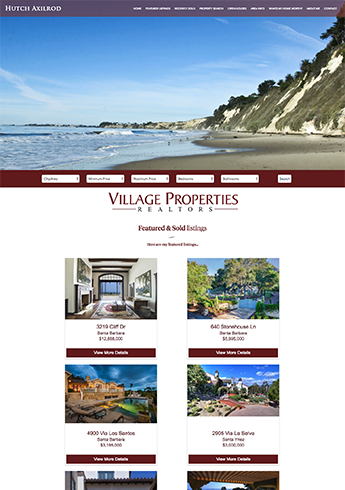 My Website is a really important part of my real estate marketing program. Steve has always been there for me with knowledgeable advice and helpful support - whenever I’ve needed it - even when it has not include a specific Photo Tour issue. Steve has a solid eye for design and understands the marketing aspect of all areas of Real Estate. He has been an invaluable resource for me for well over 10 years! The seller of my Santa Ynez listing sent me a copy of an e-mail that he received from a friend. The friend was raving about the video and photos, etc. As it turns out, his friend's son was an agent in Solvang who received a PhotoTour mailing and had forwarded it to his Dad - who, in turn, sent it to the seller. I guess that mailing worked! It was certainly worth the $$$! Thanks!!. Please feel free to give us a call or drop us an email anytime and we promise to get back to you promptly... Thank You for your interest in PhotoToursIDX.